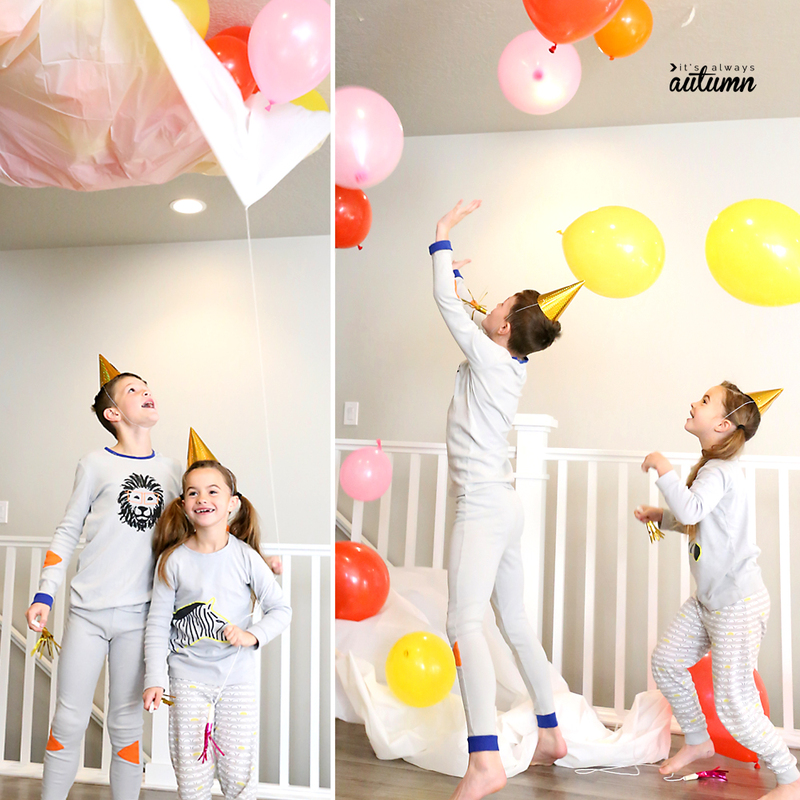 In today’s post: Ring in the New Year with a DIY balloon drop! Get all the supplies you need from the Dollar Store. I guess you could call me a lazy mom, at least when it comes to New Year’s Eve. Instead of heading out to some exciting celebration, we always end up spending the evening at home. When all my kids were young it just felt like too much work to head out somewhere late at night, plus most of them couldn’t stay up until midnight anyway. 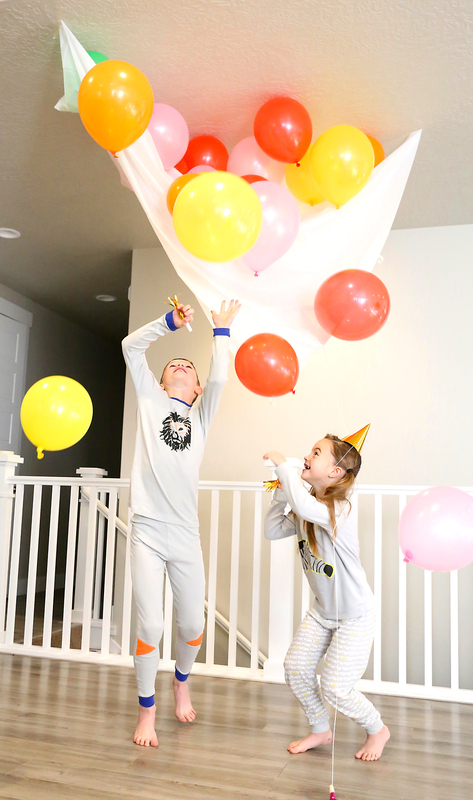 And now that everyone is older, it’s almost more fun to stay home and celebrate in our jammies watching our favorite movies. 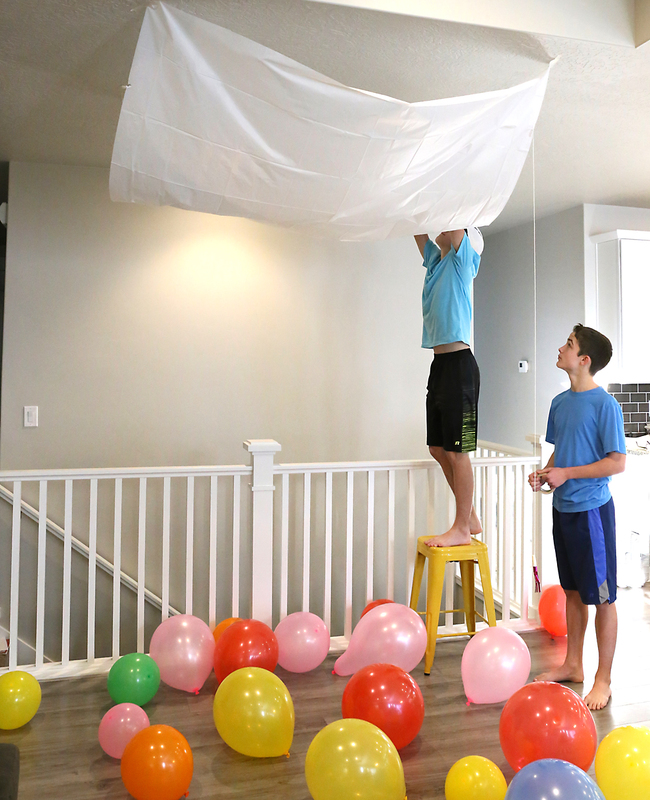 But it’s still fun to plan something special, which is where this simple DIY balloon drop comes in. Earlier in the day blow up a bunch of balloons. I think we used about 30. Then cut a piece of string that will go from the ceiling down low enough for your child to grab it. Tape one of end of the string to a noisemaker to create a handle. Open up the shower curtain and tie the other end of the string through one of the holes. I strongly recommend putting some tape across the hole to reinforce it and make sure the string is firmly connected to the shower curtain. You could also choose to tape or tie the string to the center of the shower curtain if you wish, just make sure it is very securely fastened. 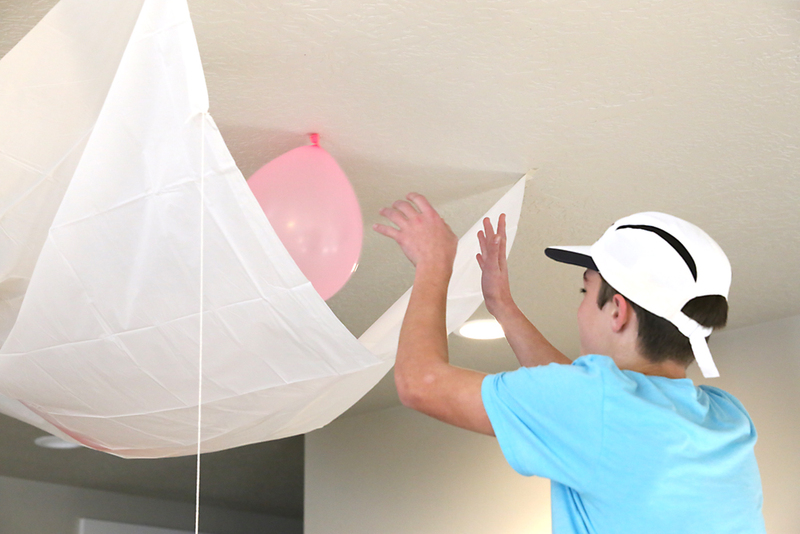 Tape the shower curtain up on your ceiling using masking tape. Don’t use too much tape; you want the shower curtain to pull away from the ceiling pretty easily when the string gets pulled. We found it was easiest to tape all four corners first, then put another piece of tape along each of 3 sides. Then stuff all the balloons in from the side that’s still open, and tape that side up as well. Then all that’s left is to wait until midnight and let the kids pull the string! 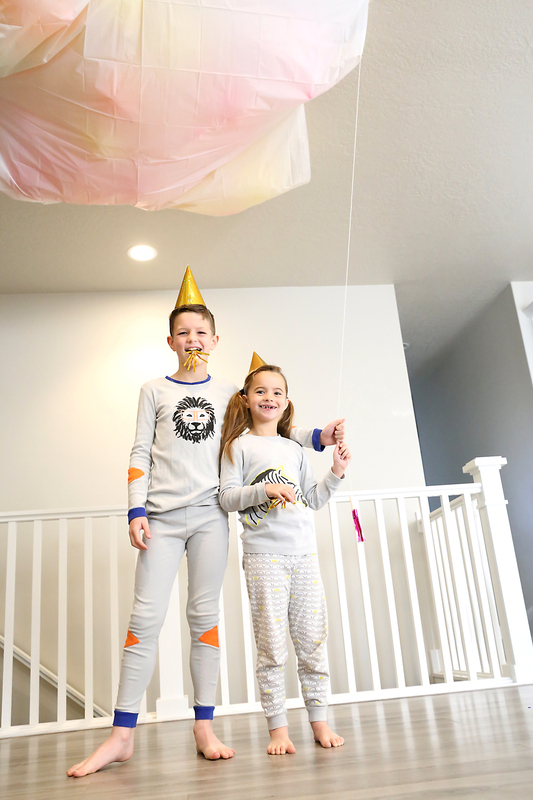 NOTE: if your kids are younger and you don’t want them all to stay up until midnight, you can have your balloon drop happen at 9 pm or whenever you want to send them all to bed! I am totally doing that!! I have a 5 year old. Thank you!! !